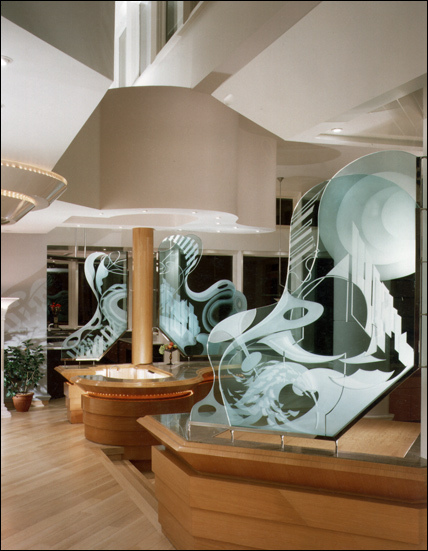 Classic Glass specializes in creating high quality back painted glass products for commercial and residential applications. 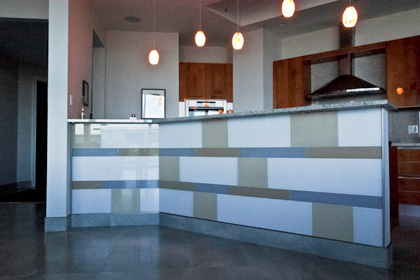 Popular uses for colored glass surfaces include: Backpainted Kitchen Backsplashes, Painted Glass Walls and Glass Countertops. 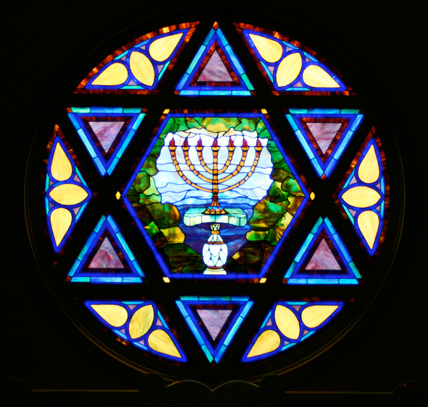 It is recommended that all backpainted glass be produced on low iron glass to reduce color distortion and ensure accurate tinting. Furthermore, our skilled artisans can color match backpainted glass to Pantone, Benjamin Moore and Sherwin Williams swatches with striking accuracy. 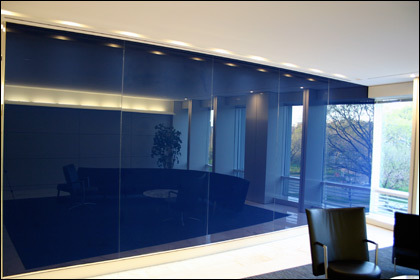 Classic Glass can also create glass samples specific to your color requirements ensuring accuracy and overall satisfaction of the finished product. Custom options such as edge-work, cut-outs, odd-shapes and various thickness’ are available to meet your projects unique needs. 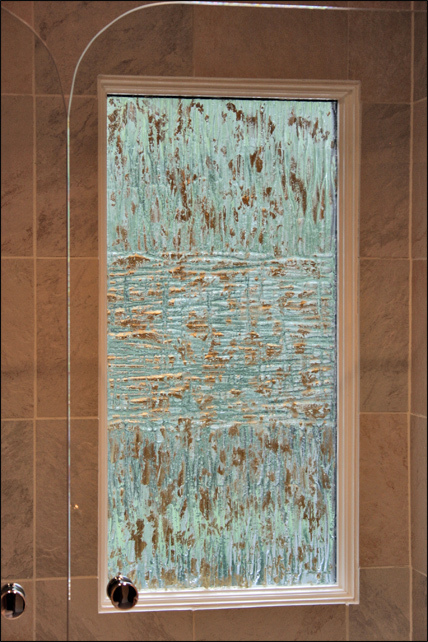 If necessary,� back painted glass can also be tempered or laminated to satisfy safety requirements. 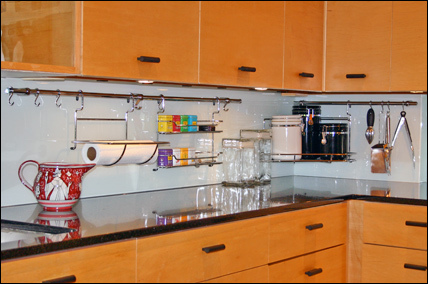 Back painted glass backsplashes offer an easy to maintain sophisticated appearance that will last for years. Are you searching for that special something to tie everything in your space together? Back painted glass just might be the answer! 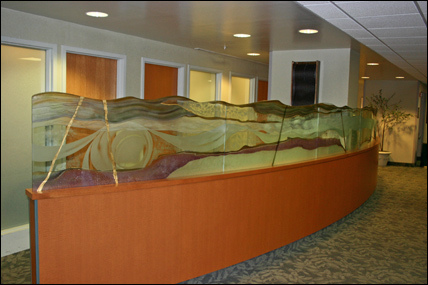 For more information about custom back painted glass please contact a Classic Glass representative.